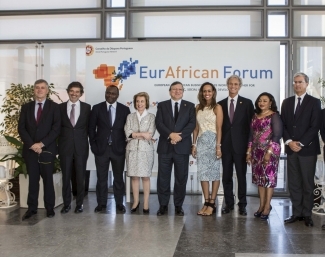 Cascais, 10 July – The first edition of the EurAfrican forum held under the High Patronage of the President of the Portuguese Republic and the Government of Portugal, is a one-day exclusive High-Level Forum. With the theme “Crafting Coalitions for Change, this action-oriented platform aims to foster stronger collaboration between Europe and Africa in order to promote a shared green and inclusive growth, to uncover new business opportunities and to create synergies between innovation models. IDA attendance.